Featuring Rhianon — A Blogger’s Quilt Festival Quilter! 1. 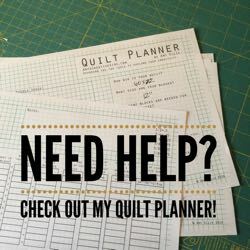 When did you begin quilting ? Like many quilters I have sewn since I was a little girl. I was brought up with a Mum who was always sewing, dressmaking, knitting and crocheting so I was very influenced by her. My first love was hand embroidery and when I was 19 I was lucky enough to study at the Royal School of Needlework in London. This was where I was introduced to patchwork and quilting. I dabbled a bit but did not start quilting seriously until about 13 years ago after I bought an Australian quilting book. 2. Why do you quilt ? I quilt because I have to be creative – it’s in my soul – it calms me. Quilting gives me the opportunity to bring all my skills together and be as artistic as I like. 3. What is your favorite quilting tip ? Just to try and be as precise as you can all the time, in cutting and sewing for good results. The inspiration for this came from a challenge we were set at my quilt group. We had to decorate a bag. My brother had brought back some ceramic Geckos from a trip to Mexico and I just loved them. I knew after I made the bag that I had to do something else with the geckos. The postage stamp border is to represent some tiling that you always get in hot countries. 5. Do you sew other things ? Yes I do. My day job is hand embroidering goldwire lettering on Masonic regalia. Erm…. I eat, sleep and breathe quilting. I have a blog called The Nifty Stitcher and I do a post once a week, sometimes more. I love to encourage new quilters and I also love to be inspired by other quilters. I will forever be a quilter! All the work on my blog is my own designs – I rarely do other peoples designs but make an exception for Bonnie Hunter’s mystery quilt every year. My dream would be to make a proper living from my quilting and maybe one day have a book published………. Beautiful work Rhianon! 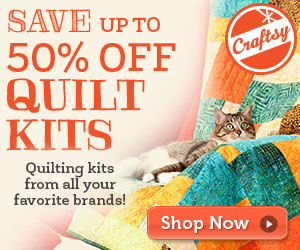 I love how colorful your quilts are, and your tip is a good one! That gecko quilt is incredibly beautiful. I love how the quilting making the tiling just pop on the postage stamp border! You do beautiful work, Rhianon! Those 3D quilts are incredible! Absolutely Amazing and Stunning Quilts!!! Very Well Done!!! Thank you for sharing this lovely work. Rhianon’s work is always something I love to see, her blog is awesome! Love all the color and great designs! So jealous that Rhianon sews for a living too! I’ve seen The Descendants twice ’cause I liked it even better the second time. That’s probably because I can identify myself (unfortunately) with the character of Clooney, Matt King.I want to thank you for taking the time and effort to write this post. Good job Ethan but I would have to say Lebron’s post play has shown something that teams were never prepared for. Thus it has been a huge plus for the Heat, as even if he is hero balling, being down low helps guys to get in position.As opposed to hero balling on the perimeter.